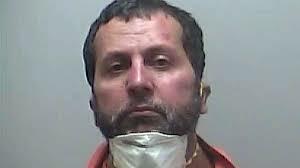 The man who stabbed a police airport guard was willing to die if he could get the victim’s gun and attack others at Flint Bishop airport, according to the opening statement by the prosecutor in the trial of Amor Ftouhi. He is a Tunisian who was living in Montreal. He’s charged with three crimes , including terrorism . Federal prosecutor Jules DePorre told the jury Ftouhi saw himself as a martyr who wanted to “kill Americans until he himself was killed.” Ftouhi’s lawyer didn’t make an opening statement. The trial is going on in Flint federal court.